In today’s New York Time article they discuss the 1974 CIA global cooling report, and say that the CIA warned about CO2 induced warming. It is difficult to image journalism more Orwellian than this. 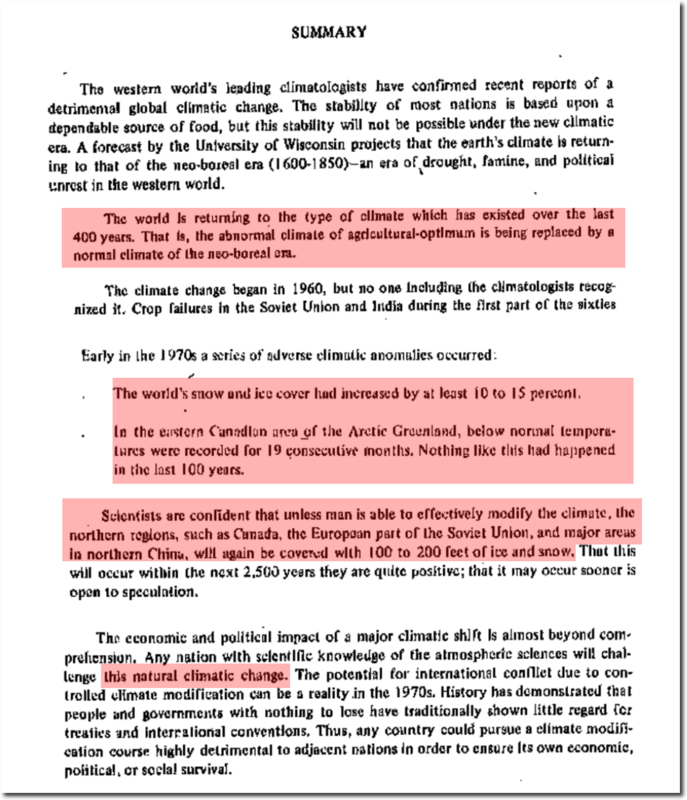 The 1974 CIA report was discussing global cooling and a new ice age. They said the world was returning to its normal cold state, and that it was natural climatic change. Everything in the New York Times article was the exact opposite of reality. The cynicism and fraud at the New York Times has gone off-scale.